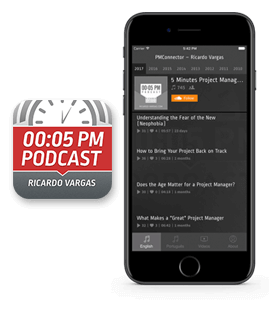 In this podcast Ricardo discusses the importance of the feedback during the project communications. He approaches the "screen" concept regarding personality and perception and that understanding the cultural and social differences can influence directly the project results. Ricardo presents in this podcast his reflexions about the polemic generated by the referees in the FIFA Worldcup matches and the FIFA resistance in provide this changes. He also discuss the cultural aspects of change and compare this resistance with the resistance we face in most of the projects in the organizations.